Interwebers, today’s final guest post comes to you from my good friend Ashley, a Seattle native currently living in the (semi) sticks of Maryland with her husband who makes an awesome bracciole and her daughter who makes a lot of noise. She throws a hell of a dinner party with tasteful tablescapes that actually enable you to have a conversation with your fellow dinner companions (TAKE NOTE SANDRA F-ING LEE.) and inordinate amounts of wine. And now you know why we’re friends. You can read more of Ashley at This Hofmann Life. Molly said that I had to write about travel for this post. To me, that’s like being told to write about a gynecological exam—both topics conjure images of dread, hassle, rushing, waiting, taking time away from work, physical discomfort, and a rather invasive exam for potentially deadly material. Oh, sure. Some people travel to exotic locations, needing to pack just a camera, a passport, and a smile. These are the people who can easily look pretty with less than 3 ounces of liquid for the next 8 weeks, have no trouble finding overhead storage space on a plane, and get bumped to first class because they seem so damn likeable. The rest of us? Our flights coincide with winter storms, mechanical difficulties, liquor shortages on the plane, flight crew strikes, security lapses, and, my #1 cause of delays—thunderstorms. In the past year, I’ve added to this jolly mix an almost-one-year-old child. Imagine, if you will, standing in an excruciatingly long security line at the airport as your 26-pound offspring declares (by screaming) that she wants to be held, not strapped into a stroller. Next, after the sharp-eyed and keenly observant TSA agent thoroughly inspects your I.D. and boarding pass in less than .0034 seconds, an equally clever and no less efficient TSA agent instructs you to get into the longest, slowest-moving line behind first-time flyers who don’t realize that you must remove your shoes, you must take your laptop out of its bag, and you must hop on one foot while singing the hokey pokey backwards as you go through the metal detector. As you approach the front of the line, the person in front of you inevitably takes the last bin. Always on the ball and eager to do their job well, a friendly TSA agent helpfully barks at you to put everything into a bin, the sheer absence of them notwithstanding. So you steal some from another line. Next, you have the delight of declaring 4 bottles of formula and 4 bottles of water, all of which must be opened by you as you, wearing no shoes and holding your driver’s license and boarding pass in your teeth (which your child excitedly tries to grab), hang onto your squirmy toddler-to-be and attempt to not spill so the always congenial TSA agent can swab the bottles for dangerous vapors. Somehow, the rancid smell of formula fails to set off hazardous-material alarms. Meanwhile, said toddler-to-be decides now is a good time to begin screeching (not screaming, screeching) at the top of her impressive lungs, reaching pitches that can, unfortunately, be easily heard over the roar of a jet engine. (Believe me, I can prove this.) She ramps up the squirming as you try to put the now-deemed-safe bottles back into the diaper bag, and of course they no longer fit. You try to find your husband to see if he can hold your wiggly spawn for a moment, but you see him fighting the stroller as he tries to cram it through the x-ray machine. Next, you try to put your child’s jacket back on her (it had to be removed in case you had strapped a bomb to her between the pink onesie and her polka-dot coat). As you do this, she catches sight of the bottles that couldn’t fit back into the diaper bag. And she wants one. Now. Finally, your husband makes it through the metal detector, muttering profanity under his breath as little stress-beads of sweat pop out on his forehead. Eventually, you get all packed up and prepare to find your gate. As you do, you look at the clock. And the one thing that motivated you, the one piece of hope to which you clung as you banished such thoughts as “traveling is not worth it,” the one thing that could make it all better—evaporates before your eyes. Getting through security took so long that you no longer have time to get a before-flight drink at the oh-so-inviting airport bar that beckons you, oh weary traveler. Yes, travel can be glamorous and adventurous and exciting. But, lest we forget that we are idiotic nimrods at the mercy of security protocol, let us applaud that federal agency that makes travel worth the cost, that great equalizer of humanity that presupposes all of us as terrorists, that great creator of lines and missed flights, that beacon of over-the-top friendliness. Transportation Security Administration, ye protectors of America, we salute you. A recap from Part 1: I love Rick Steves. My husband doesn’t mind too much because of all the treasures we’ve found in Europe thanks to Rick’s books. I will now share with all of you lovely readers our best and most awesome finds, aka the love child. Amsterdam: Bed and Breakfast Amsterdam (Tulips) is amazing, a great deal, and it’s really a pleasant place to stay. Nothing fancy, but for the price it is more than we expected. Although it is far from the city center, it’s a pleasant walk through Amsterdam’s main park. Be sure to drink lots of the complimentary Bessen Jenever (black currant liqueur). For a ridiculously cheap (but filling) lunch, head to the Atrium University Cafeteria, which is right near the middle of town and a great deal. If you want a cozy spot for a beer or tea, head to Café T’Smalle, which is situated right on one of Amsterdam’s picturesque canals. Sit right at the water, sip your tea, and enjoy the slow relaxed pace of this hidden gem. Belgium: In Brussels we highly recommend eating as many waffles as you possibly can stomach. It is so touristy, but it is very delicious. For a really chill and fun dinner, head to La Fin de Siecle, which is more of a bar than restaurant. The prices are really reasonable and the food was good. The atmosphere is the best part. In Bruges (you must go to Bruges!) check out L’Estimanet for lunch. Situated next to a park, the décor is so old world cozy you’ll feel like you’re in a European movie. The food is well priced and tastes good and it’s packed with locals, not tourists. Paris: One thing you may find while in Paris is that at some point you’ll want to throw up your hands and scream and just be away from the crowds and stench and tourist traps. At Chez Georges on the Left Bank you can do just that (but maybe don’t scream). It’s a bar a short way off the well beaten path and you can sit and have a quiet (and ridiculously cheap) glass of rosé and talk to the friendly bartender in broken French as he speaks to you in broken English. No pretense in this place. York: I loved every city we visited in England, but for some reason the time we spent in York was most memorable. The whole city is a gem. Stay at Number 34 B&B and enjoy a comfortable and friendly night’s sleep. If you really want to save money on lunch, head to church. In a tiny church hall called St. Crux Parish Hall in All Saints Pavement Church, groups from around the region come and serve hot lunches for ridiculously low prices. You’ll end up sitting with locals and most likely hearing some very interesting stories. After lunch in the church you may be thirsty for a pint, head to Blue Bell one of the most authentic British pubs we went to and packed with locals. 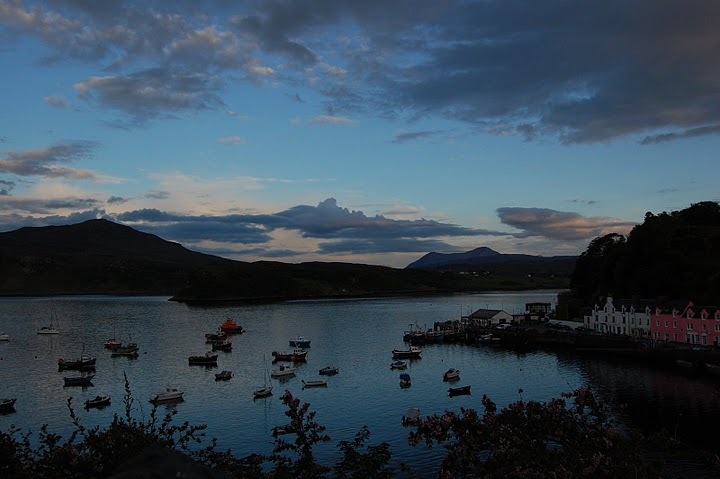 Portree, Isle of Skye, Scotland: No matter where else you go when you’re in the U.K., make a trip up to the Isle of Skye in Scotland. It will blow your mind. It is by far one of the most beautiful places I’ve ever visited. The tourism industry is big there, but the tourists are all British or European. We stayed at Ben Tianavaig B&B and everything about it was perfect—the view, the large size of our room, the breakfast, the owners, the location. 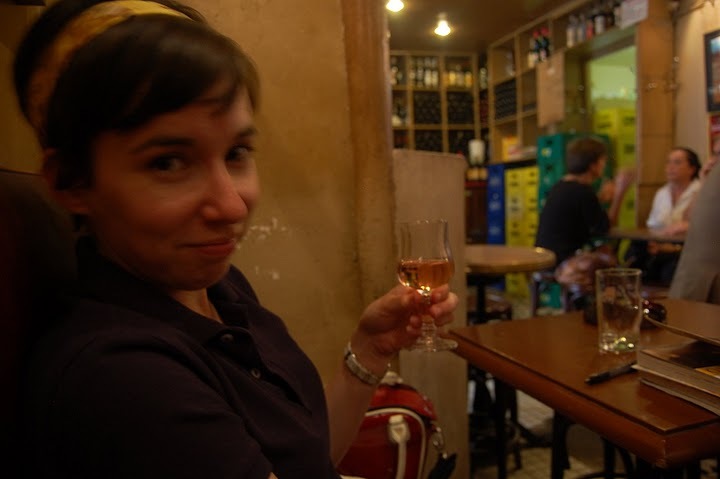 Luckily my conspicuous love for Mr. Steves has done no damage to my marriage, and I think it’s in large part due to the amazing adventures my husband and I have had in Europe so far. Next up, Italy, Spain and the Mediterranean coast (date to be determined). Today’s post comes from my good friend Stephanie, who originally hails from Louisiana, now lives in Maryland, and is the founder of The Cookbook Club, a club of which I am a member, despite having made only one of the multiple recipes over the last few months. (Steph doesn’t seem to mind, however, that I’m a slacker.) (Thank God!) She’s a double rockstar, not only for agreeing to guest post for me, but for giving me TWO PARTS to her post. Which means you, dear Interwebers, get a bonus read this week. For now, here’s part 1, with part 2 coming tomorrow. Read more of Stephanie’s travel adventures, thoughts on life and LSU football on her blog. Europe was always a magical continent to me. Despite many pathetic pleas to my parents during my childhood, we never made a family vacation across the pond, which meant the extent of my foreign travel by the time I graduated college was Mexico, Canada, and the Caribbean. Then I married a man from Eastern Europe—and, no, I didn’t marry him just because it was a guarantee that we’d travel (at the very least) to his home country. 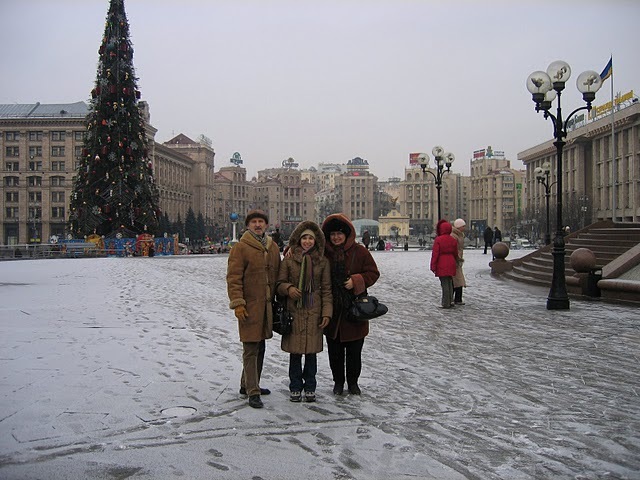 We did travel to his home, Ukraine, a year after we were married and it was one of the most incredible traveling experiences I ever had. But that’s not what today’s guest post is about. 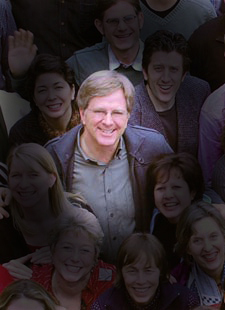 Nope, it’s about my unabashed love for Rick Steves. The next year, armed with my fancy We the People U.S. passport, we decided to travel to the United Kingdom. My husband was presenting at a conference in Newcastle, and so we made it a two-week tour of the British isle. This is when I met and fell in love with Mr. Steves. I didn’t actually meet him, but I was introduced to his books by a well-traveled friend. 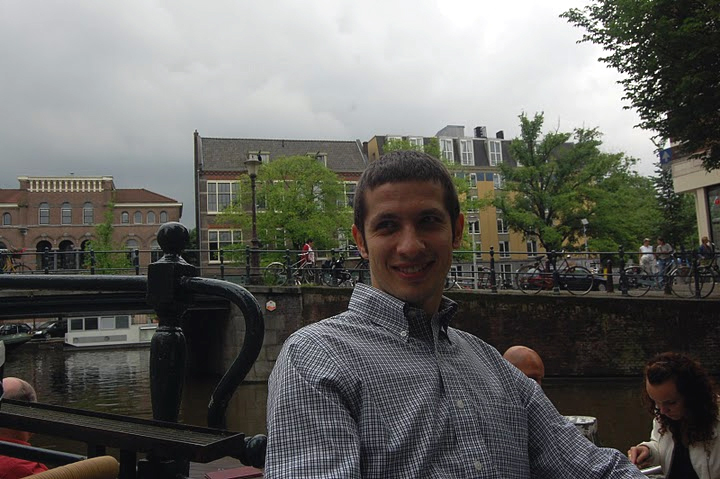 I pored over his books for months before the trip—the London edition, United Kingdom, England, Scotland—and, with very little hesitation, booked his recommended bed and breakfasts and even altered our destinations based on his tips. Photo credit: Ricksteves.com, with some photoshopping by Stephanie. It was a leap of faith that I was taking. But for some reason, I trusted him. 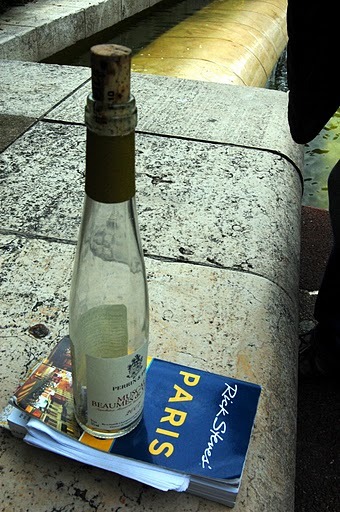 I photocopied his walking tours, I stuffed two of the books in my tiny suitcase (hubby and I only travel with carry-ons) and crossed my fingers that this Rick guy knew what he was doing. Our trip was phenomenal. Every walking tour we did (in London, York, and Edinburgh) was a lesson in history, culture and random trivia. Every bed and breakfast he recommended was fantastic with really interesting owners. Every restaurant we visited (and subsequently saved tons of money at) had decent British food for reasonable prices. Rick was a hit. Not surprisingly the next year when we decided to do Amsterdam, Belgium and Paris, I turned to Rick. Not only are his recommendations for lodging, eating, shopping and touring spot on, but he also has invaluable tips about getting around cities and learning essential phrases—dank u wel, alstublieft. Thanks to Mr. Steves, we discovered some gems in Europe, whether it was the cheapest (and pretty darn good) meal in town, the best place to stay, or the easiest way to travel from point A to B. I will share some of those with you…in part 2. Stay tuned. But since I didn’t want to deprive you of goodfuntimes on McPolish, let me introduce you to the lovely Megan from Best of Fates, who is our first guest poster of the week. I’ve been reading Megan’s blog for some time now, and I’ll be the first to tell you she has some amazing stalking skills when it comes to woodland creatures. 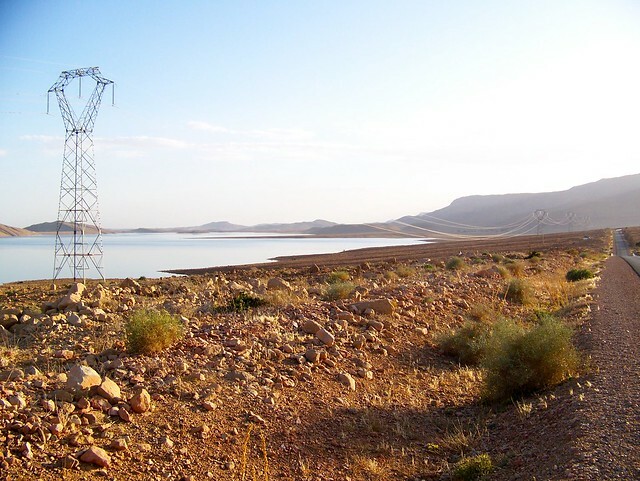 When you’re done reading about her Moroccan adventures here, I highly encourage you to head on over to her site to see what foibles and follies she’s been up to lately. Morocco and I have had our ups and downs. Our ins and outs. Our compliments and catcalls. Our bikinis and burqinis. But when I think back to our time together, I do so with joy and love and sometimes, annoyance. 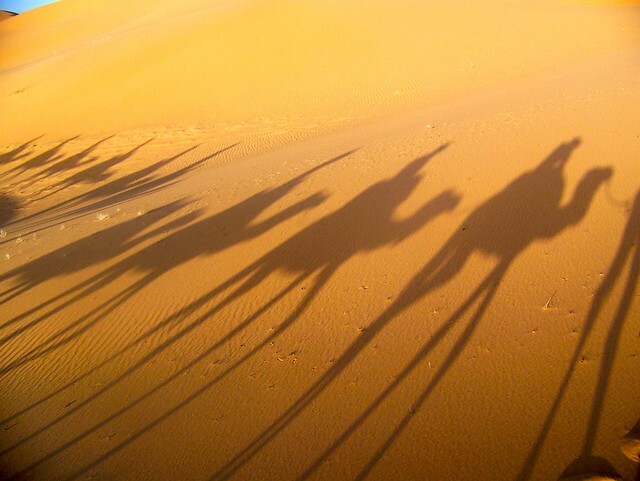 Camels are awesome. They’re big and snuggly and have the most gorgeous eyelashes you can imagine. I’ve never met one who spits, and they’re always up for shadow photo shoots. But… how flexible are your inner thigh muscles? ‘Cause camels are wide. 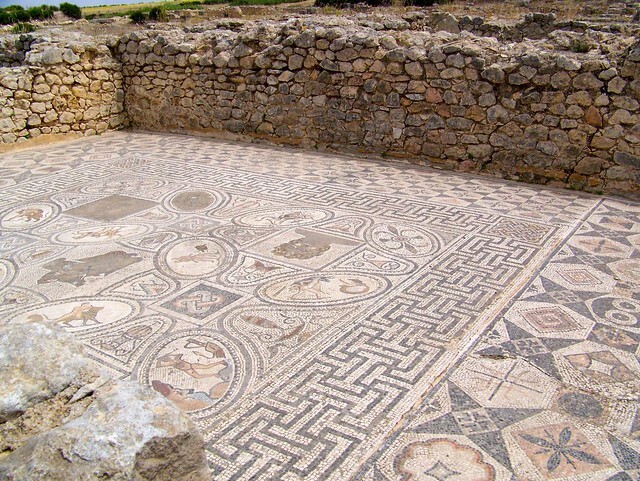 North Africa is filled with gorgeous floor mosaics that are beautifully preserved. There’s something magical about touching and walking across ancient Roman ruins. But… it’s best if you go see them now. 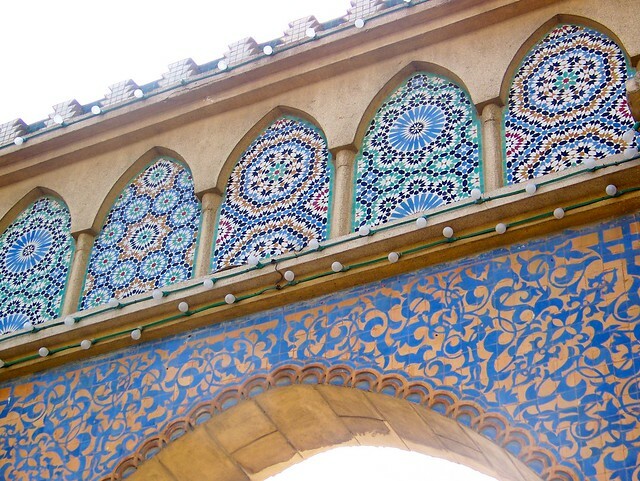 ‘Cause though I love that I’m given the freedom to walk on/touch the ancient colored tiles there’s only so many people who can do so before every site starts resembling a freshman dorm hall bathroom. A male freshman dorm hall bathroom. Moroccan food is delicious. 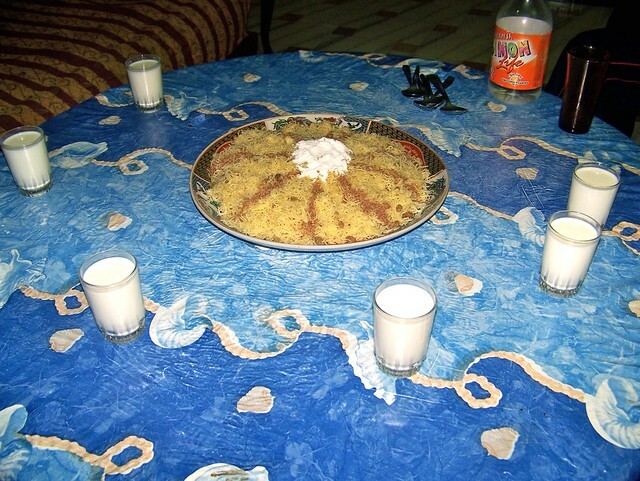 Couscous, lentils, chicken, homemade bread, melon – all foods taste better in Morocco. Especially anything made in a tajine. I’m drooling just thinking about it. Which is quite unfortunate for my keyboard. But… see that drink in the above photo? Think it’s milk? It’s not. Rather, it’s milk that isn’t completely a liquid. Known as leban, it haunts my nightmares to this day. 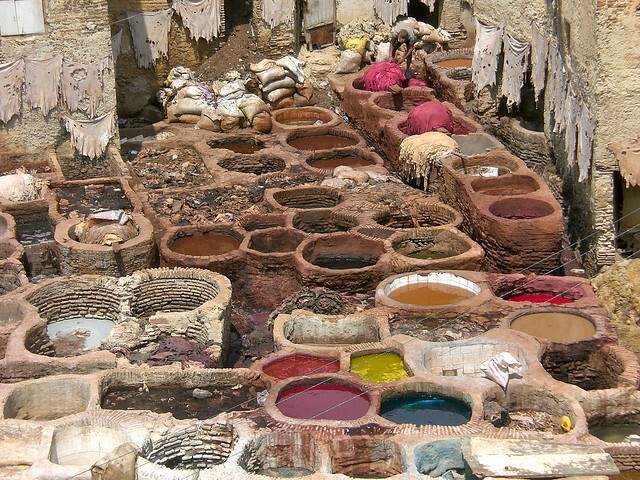 An ancient tradition of dying that is still used in Moroccan cities, tanneries provide vibrant colors and educational tours and is a sudden reminder that you’re in another country..
But… some of those vats contain pigeon poop. And if you’re staying anywhere within a few mile radius of a tannery you’re going to discover that for yourself. 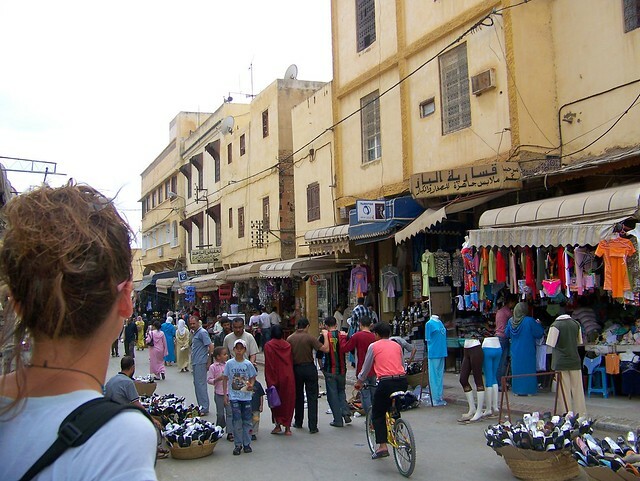 Most dating back thousands of years, each Moroccan souk has its own flavor and specialty. It’s where you’ll go to buy bread and fabric and souvenirs. Half the men you encounter in the souk will persistently try and sell you something and the other half will try to sell you themselves – though don’t get married for less than 1,000 goats. A gal’s gotta have some standards. But… don’t expect everything sold in a souk to be made in Morocco. Despite the proprietor’s objections, that “Made in China” label is probably a clue. 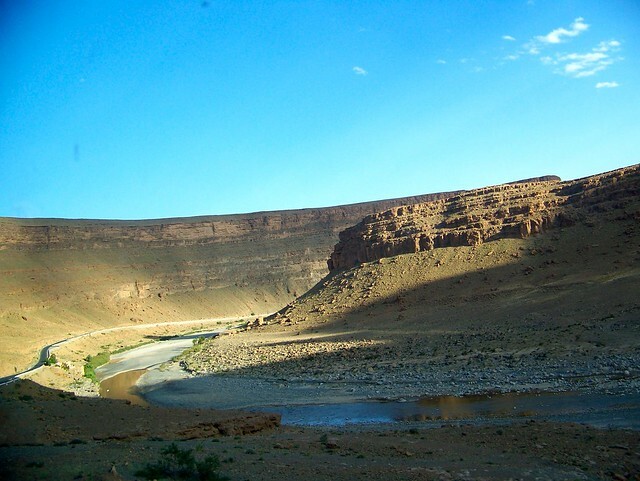 The Atlas mountains, the Sahara Desert, the Atlantic Ocean and all the places in between – Morocco has a vast variety of things to see. Some are awe inspiring (like the desert), some are gorgeous (like the coast), some are sketchy (like Tangier) and some are just overrated (like Casablanca). But… it’s not possible to see them all in one week, or one month, or even a whole summer. That’s why I’ll always look back and regret having never viewed goats climbing trees. 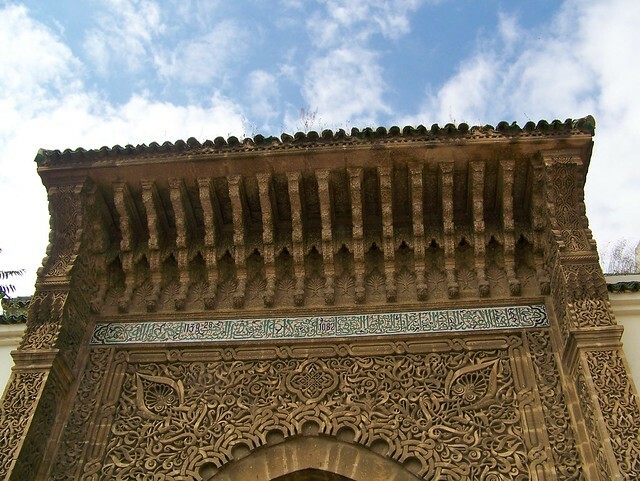 Everywhere you look in Morocco there are doorways that look like this. And this. And thousands of other photos I could show you, until eventually you’d stop being impressed and start expecting everything around you to be painstakingly carved or painted or tiled. But… those expectations are going to be dashed if, like me, Morocco isn’t your home and eventually you’ll have to leave. Did I forget to tell you about people?